Grandparents play a special role in our families. They offer the wisdom of experience and a joyful generosity unencumbered by the weight of parental responsibility. The same is true in the Parish family. At Parish, big-hearted grandparents like Lynn Smith and Bob Marshall share their time, talent and treasure as a natural extension of supporting their grandchildren’s education and upbringing. Both Lynn and Bob serve on the Parish Board of Trustees and made generous major gifts to the campaign for the future Performance and Community Center and the Gene E. Phillips Activity Center. Called “Goo Goo” by her grandchildren, Lynn Smith has spent nine years on the Parish board. As a former teacher and school counselor who has served on boards for other private schools in and beyond Dallas, she knows what excellence looks like. 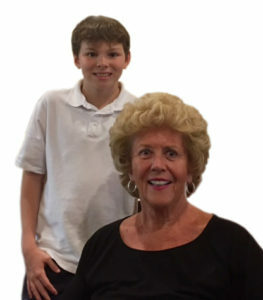 She appreciates what she sees at Parish, where her grandson Connor is in the 7th grade. “At most schools, it’s the struggling kids and the top students who really get the attention. But, at Parish, every child gets individualized opportunities and guidance. That leads to uncovering your interests and a life-long love of learning,” says Lynn, who is taking Connor to London this summer. 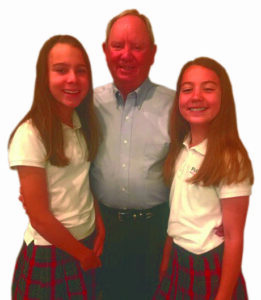 Bob Marshall, a retired technology executive and grandparent chair for the Parish campaign, has a passion for education. He has served as board president for Booker T. Washington High School for the Performing & Visual Arts and for St. Phillip’s School in South Dallas during their capital campaigns. Every Friday, he picks up his two granddaughters, Avery (5th) and Ryland (7th), from Parish, often stopping for an on-campus game of basketball before taking them home. Parish extends its thanks to Bob Marshall, Lynn Smith and the many other grandparents who give so generously to their grandchildren and the Parish family.